William Morrow Paperbacks, 9780062457578, 384pp. Megan Abbott meets M.O. Walsh in Christine Lennon's compelling debut novel about a group of friends on the cusp of graduating from college when their lives are irrevocably changed by a brutal act of violence. For two decades, Elizabeth has tried to escape the ghosts of her past…tried to erase the painful memories…tried to keep out the terrifying nightmares. But twenty years after graduating from the University of Florida, her carefully curated life begins to unravel, forcing her to confront the past she’s tried so hard to forget. Elizabeth and her two closest friends, Caroline and Ginny, are having the time of their lives in college—binge watching Oprah, flirting for freebies from Taco Bell, and breaking hearts along the way. But without warning, their world is suddenly shattered when a series of horrific acts of violence ravage the campus, changing their lives forever. Sweeping readers from the exclusive corners of sorority life in the South to the frontlines of the drug-fueled, slacker culture in Manhattan in the ‘90s and early ‘00s, when Elizabeth is forced to acknowledge her role in the death of a friend in order to mend a broken friendship and save her own life, The Drifter is an unforgettable story about the complexities of friendships and the secrets that can ultimately destroy us. CHRISTINE LENNON is a Los Angeles based writer. Before she moved to the West Coast and started her freelance career, she was an editor at W, Vogue, and Harper’s Bazaar. Since then, she has written for publications including, T, the New York Times Style Magazine; the Wall Street Journal; Town & Country; W; Vogue; Harper’s Bazaar; Martha Stewart Living; Sunset; C California Style; Marie Claire; Self; Net-a-Porter’s Porter and The Edit online magazine—among others. Christine lives in California with her husband, Andrew Reich, and their twins. 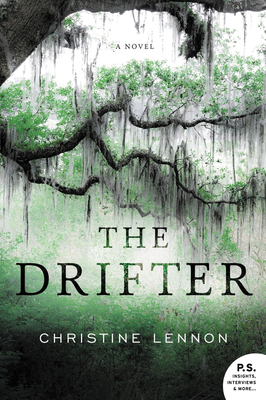 The Drifter is her first book.